Barring signal troubles, links to any posts of substance ought to work. WE WILL BE JUDGED BY THE MONUMENTS WE'VE DESTROYED. UNDER SOCIALISM, THERE WILL BE LONG LINES AND NO ICE CREAM. By contrast, Ben and Jerry's woke capitalism provide a lesson in why there are traffic jams. As you’re standing in line waiting for your “free” ice cream cone, give a little thought to the parallels between that line and your typical rush hour traffic jam. In both cases, you’re waiting in line for the same reason—the price is too low, and demand is overwhelming supply. This is the valuable lesson that Ben and Jerry are providing in the fundamentals of transportation economics. You’ll note that unlike the average day at a Ben and Jerry’s, when you might have to wait in line a for a minute or two to get your favorite flavor, now you’re going to end up waiting twenty minutes, or a half hour, or possibly longer. In terms of customers served and gallons scooped, this is going to be their biggest day of the year. Last time, they gave out a million scoops of ice cream worldwide. The rest of the year, though, Ben and Jerry function like a toll road. There's a more general price theory lesson present, before we get to the traffic jams. Make no mistake: although you’re not laying out any cash for your ice cream, you are paying for it with your time. Let’s say that you’d pay $2.50 for that scoop of Phish Food (they’re a bit smaller than regulation on Free Cone Day). If you have to wait half an hour, and you value your time at, say, $15.00 per hour, that $2.50 scoop really cost you something like $7.50. It’s a safe bet that most of the people waiting in line value their time at something less than $5.00 an hour if they’re willing to wait that long for a “free” cone. Also, if you really want ice cream, and are pressed for time, there’s no way that you’re going to jump to the head of the line no matter how much you’d be willing to pay. Shorter first paragraph: queuing for low prices is something you'd expect to see for people who have a low opportunity cost of their time. In part, we have road rage because travellers with a low opportunity cost of their time are contributing to the congestion holding up the Master of the Universe and the functionary who is in a bad mood because the alarm clock didn't work. (That's why "Lexus lanes" doesn't quite work as a description of a high-occupancy toll lane. The latter two personalities will pay to cut the line while the low opportunity cost drivers will not.) I suppose there are some high rollers who, in the best Washington rent-seeker form (or upscale yuppie mom form?) might hire line-standers, although that strikes me as a bit much just for some Vermont ice cream. When it comes to road congestion, though, the highway lobby gets paid off not to see what's at work. When it comes to our road system, every rush hour is like free cone day at Ben and Jerry’s. The customers (drivers) are paying zero for their use of the limited capacity of the road system, and we’re rationing this valuable product based on people’s willingness to tolerate delays (with the result that lots of people who don’t attach a particularly high value to their time are slowing down things for everyone). If Ben and Jerry’s were run by traffic engineers, instead of smart business people (albeit smart business people with a strong social minded streak), they’d look at these long lines and tell Ben & Jerry that they really need to expand their stores. After all, the long lines of people waiting to get ice cream represent “congestion” and “delay,” that can only be solved by building more and bigger ice cream stores. And thanks to what you might call the “fundamental law of ice cream congestion” building more stores might shorten lines a little, but then it would likely prompt other people to stand in line to get free ice cream, or to go through the line twice. But, of course, with zero revenue, Ben & Jerry would find it hard to build more stores. No, they'd simply find a Vermont politician to include ice cream as a "vital human right" and incorporate ice cream stands as crumbling infrastructure (and not enough cookie crumbles on the cones?) and suggest that if only millionaires and billionaires and corporations would Have. To. Pay. Their. Fair. Share. Of. Taxes. all would be well. Why should road socialism be different from any other socialism? Colin Turfus offers today's Trenchant Observation. The counter-Enlightenment’s most perceptive thinker was probably Friedrich Nietzsche. His portrayal of a madman running around with a lantern proclaiming that God was dead parodied the Enlightenment philosophers who looked to replace traditional values with a new value system which pared away the superstition and retained the essence; but that there was no such essence. Freed from the constraints of the prior expectations of our peers, we are free to steer whichever course we choose. Postmodernism builds on this insight, asking us to consider that there are no objective standards of right and wrong, only differences of perspective. Properly understood, post-modern skepticism might simply be a strong form of "how can we be sure we understand what we understand?" So far, so good. But the vulgar form of post-modern skepticism becomes a strong form of liberating tolerance. This point of view is often portrayed as moral relativism, but this misses an important feature of the postmodernist position: although it holds that there is no single correct point of view on questions of right and wrong, all points of view are not necessarily equal in validity. Indeed, echoing Orwell’s critique of communist society in Animal Farm, some points of view are in practice “more equal than others.” For, as stated above, values are thought to arise in practice in “discourses” taking place in different social groups or communities. And some groups have greater power or “hegemony” to impose their view on other relatively disempowered groups. Without taking a position on whose views are more correct between the relatively more or less powerful group, postmodernists argue that it behoves [c.q.] us to take the side of the relatively disempowered group so as to help redress the intrinsic injustice of the situation. So the conversation moves from one about being right to one about having rights. While a traditional perspective on human rights would be to argue that all human beings possess rights equally, the postmodernist position is that greater rights have to accrue to the relatively disempowered and so greater emphasis should be given to defending their values. From here springs the concept of group rights: women’s rights, gay rights, transgender rights, black rights, Muslim rights, and so on. It is one of the great achievements of the postmodernist agenda that, without any need for moral discourse, it has become possible to dismiss almost any moral position portrayed as disrespectful to any of those group rights, particularly if that moral position can also be portrayed as promoting the interests of some relatively more powerful group. Not surprisingly, this approach leads quite quickly to inconsistency and even incoherence. Of course it did. Is anybody surprised that when you put "truth" in scare quotes you lose consistency, and perhaps you get Trump. I know I repeat myself, but I'm not surprised. "Yes, and goodness gracious, if the Good Ideas of Smart People were that persuasive, there'd be no serious debate about their Correctness." MODEL RAILROADING IS A STEAM DISCIPLINE. Sorry, that's awkward. Model railroad club working to turn city kids into next generation of engineers ... 'and we get to eat doughnuts.' That's at the Clarendon Park Community Center, (near Montrose Harbor?) where there's an HO Scale model railroad club in a park district building. Lopez and Gould were building a bridge as part of a weekend educational program run by the Garfield-Clarendon Model Railroad Club in Uptown. They were competing against other teams of young boys and club members to see which bridge could carry the most weight with the least amount of material. For five Saturdays in March, club members taught 10 neighborhood grade school students concepts like basic electricity, coding, power sources and bridge mechanics, while having fun with one of the biggest model railroad layouts in the United States. This was the second year for the program, which is open on a first-come, first-serve basis to kids from nearby elementary schools. 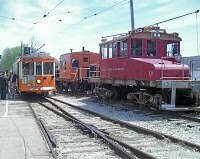 The railroad layout itself is one of long-standing, and capable of running lots of trains. Club members recently discovered they wouldn't have to relocate, which might have meant the end of the layout, and the school program. The model railroad club recently got some good news that will enable them to keep running trains and offering educational programs. The Chicago Park District had considered building a new community center, which would have meant disassembling the layout and displacing the club, Baumgartner said. But late last month, the club learned that the Park District instead wants to renovate the center, which means that both the building and the layout will be saved and the program continued, Baumgartner said. Renovations will focus on upgrading utilities, making the entire facility ADA compatible and better accommodating the programs already there. Javier Lopez’s mother, Lissette Lopez, said she loves that the model railroad youth program is opening her son’s mind to the possibility of an engineering career. She also likes the one-on-one mentoring. At Rensselaer Polytechnic Institute, another model railroad club, this one with the imprimatur of the university, also faced the loss of its clubhouse. When the Model Railroad Society got its start in 1947, it was initially housed in the Pittsburgh Building on the Rensselaer campus. In 1972, after multiple moves, it settled in the basement of Davison Hall, a first-year residence building. There, the [New England Berkshire & Western] line grew both in size and reputation, filling the space and earning international acclaim within the model railroad community. It's been written up numerous times in the hobbyist magazines, and some improvements in control and signalling for modellers were developed there. But the infrastructure is crumbling, and the university intends to renovate Davison. The good news is, there is space elsewhere in Troy. Rensselaer developed a plan for its removal and relocation. In addition to being more publicly accessible, the new space on Hoosick Street will provide the club with additional space to expand the exhibit. Good. I approve of the concept of model railroad clubs with university affiliations. There's still one at the student center at Milwaukee School of Engineering, although the club might be less active than it once was, and their open house that grew into a spring model train show is no longer on the March calendar. Where else, though, develop your skills in mastering momentum and installing infrastructure? A RUSSIAN VERSION OF THE ERIE? The Eurasian land bridge railroads by way of Russia or China are apparently attracting enough traffic that Russian managers find the break of gauge at the Russian front inconvenient. "Both the Russian and Austrian delegations gave strong backing for the long-planned construction of a 1 520 mm gauge line from Košice in Slovakia to Bratislava and Wien, with ÖBB Chief Executive Andreas Matthä noting that rail freight traffic between Russia and Austria had grown by 4% in 2018." That 1.52 meters is five feet, the Russian (and antebellum southern U.S.) standard, as opposed to the 1 435 mm (is metric really that much more intuitive than 56 1/2" as Robert Stephenson, J. Edgar Thompson, and Jack Casement ordained) in use from the Bug to the Pyrenees. The traffic is picking up though. Within Russia, ongoing enhancements to the Trans-Siberian and Baikal-Amur Magistrale main lines are intended to enable transit freight trains to cover 1 500 km per day, up from around 1 150 km today. Speaking to Railway Gazette, RZD Vice-President Alexander Misharin said that a major brake on China-Europe freight traffic was the over-reliance on the border crossing between Poland and Belarus at Brest, where containers are transhipped from 1 520 mm to 1 435 mm gauge wagons. This causes inevitable delay, and he argued that as a result it was ‘crucial’ to extend broad gauge tracks into western Europe. Misharin believed that a dedicated freight route would enable trains to run at higher speeds; transit freight services typically travel three times faster on Russian routes than in Europe. This potential for acceleration would make the 1 520 mm line to Wien ‘very attractive to investors’, he added. RZD reiterated its support for Mongolia’s Ulaanbaator Railway, where transit freight volumes have grown by 30% in two years and now total 25 million tonnes per year. As the Trans-Mongolian main line is now approaching saturation, RZD has pledged to invest US$250m by 2022 to provide an annual capacity of up to 32 million tonnes. The Russians have apparently found a use for BAMlag, a Stalin-era hero project using political prisoners, to provide a second route north of Lake Baikal to the Pacific, out of reach of Japanese (in the 1940s) or Chinese (after Khrushchev and Mao had a falling-out) theater rockets. The project was abandoned late in the Cold War, and apparently resurrected recently. A new, Russian-gauge line as far as Austria is intriguing, although I still have to wonder whether European operators will consider designing the tracks and the catenary, so much of those railroads being electrically operated, so as to be able to handle stacked containers. The new mayor of Chicago is Lori Lightfoot, and the identity politics crowd are claiming all sorts of "firsts" for her. You’ve probably heard the big news out of Chicago: the city just elected Lori Lightfoot as the next mayor. Moreover, she will be the only black lesbian mayor to ever run the city, and Chicago will be the biggest city to have an openly gay person at the helm. But there’s more here than a victory for the identity politics crowd. Lightfoot’s win represents a victory for populism in Chicago, the nation’s third largest city. Now don’t get me wrong here. Lori Lightfoot is no conservative, and she’s no populist in the Donald Trump mold. But her victory means that the days of the Chicago Machine may be over. There's probably something for students of ranked voting in that story, in that Mx Lightfoot was a narrow winner in the primary and a dominant winner in the run-off: how many voters strategically picked a second choice in the primary on the expectation that their first choice wouldn't get through? Winning the mayoral race in Chicago is not exactly like being elected captain of the Titanic, but it's close. Lightfoot will face a pension bomb waiting to detonate, out of control gang violence, massive mistrust of police by the black community, crumbling schools, a disappearing tax base, and neighborhoods that resemble war zones. But the bigger story in the city might be the defeat of several incumbents by self-identified socialists and progressives, who successfully preached the gospel of change in order to defeat several long-time city hall incumbents. Chicago is still fifteen square miles of privilege surrounded by the Third World, and with the improving weather will come the wilding. What's interesting, though, is that the new mayor is going to catch hell from her left flank. "I'm excited to say we are going to have our first black female mayor in the city of Chicago," Christopher Cook of 100 Black Men, a group that mentors the city's black youth, told In These Times last week. "But when that's all said and done, what changes are they going to make? We can't really predict right now, but we can hold them accountable." Key priorities for progressives include pushing Lightfoot to address Chicago's infamously discriminatory policing, beleaguered public education system, growing pension debt, tax policies that prioritize corporations over low-income residents, and underserved South and West Sides. "Will she embrace [outgoing mayor Rahm] Emanuel's public safety policy of criminalizing communities of color, or change course to prioritize neighborhood investment, mental health services, and jobs?" asked Abbie Illenberger, deputy director of the political group Grassroots Illinois Action. "Will she fulfill her campaign promise to end rip-off development deals like the Lincoln Yards TIF?" Illenberger added. "Mayor-elect Lightfoot's commitment to change will be quickly tested." Others were more immediately critical. In a series of tweets, Charlene Carruthers, a Chicago-based black, queer feminist community organizer and writer, expressed frustration with the excitement over Lightfoot's win, arguing that "we are going to have to fight the Lori Lightfoot administration tooth and nail." There's nothing quite like an intersectional Oppression Olympics, is there? Carruthers also highlighted the #StopLightfoot campaign, launched by "a group of young black, brown, native, white queer, trans, and gender-nonconforming organizers and people who love Chicago, and have worked for years on issues of police violence, immigrant justice, LGBTQ liberation, and more." The newly-elected "democratic socialists," who don't come off as flatland versions of sewer socialists, are also ready to rumble. Lucie Macias and Leonard Pierce lead the Chicago cadre, with the following calls. Their constituents live outside the fifteen square miles. Inside Higher Ed's Eboo Patel wonders if intersectionality hasn't become an impractical rabbit hole. I visit about 25 campuses a year, and increasingly I see situations where students know exactly which character to play when they step into the theater of ‘the diversity program’. People of color talk about how oppressed they are, everyone else nods along sympathetically. But many students are smart and honest enough to know that this is chiefly a performance – everyone is playing a part, including the professional leading the program. And at least some of those students, some of the time, are like the young woman I met a few days back. They worry whether a paradigm that was supposedly designed to advance them is having its intended effects. Absolutely we live in a world where structures of racism, sexism, etc advantage some and disadvantage others. But after you have called those structures out, what do you do next? Is constantly telling stories about how oppressed you are really preparing you to be a powerful agent in the world? A good doctor or nurse? A successful entrepreneur? An effective attorney? The next mayor of Chicago? Me, I’d put my money on the advice given by Ann Lightfoot: meet challenges, take advantage of opportunities, be strong and fearless, prepare yourself to be in charge. It's the conservative commentators, who live outside Chicago or recognize they have no say in the governance of Chicago, that wish the new mayor well. Victory Girl Kim Hirsch, "Congratulations to Lori Lightfoot. She beat the Chicago Machine, and I hope her victory is the start of better days for Chicago. The city needs all the help it can get." John Kass, a Chicagoan. "Good luck, Mayor Lightfoot. Chicago needs you now." The editorial board at Chicago's Tribune are optimistic. How Lightfoot embraced running for mayor, and how Chicagoans citywide embraced her, brought refreshing change to Chicago politics. She broke the typical campaign template and won. We think she’ll govern just as capably. What is it about gymnastics in Michigan? "Central Michigan University announced on Thursday morning that it has fired long-time gymnastics coach Jerry Reighard after a school investigation concluded the coach had 'repeated disregard for the independent role of medical staff in addressing student-athlete injuries.'" Translated: running performers out when the team doctor says it wouldn't be prudent. Concussion protocols and orthopedic surgeons and all the rest are there to protect the coaches, and the players (I'm looking at you, Aaron Rodgers) when the players understandably want to go back in and the coaches understandably want to put them back in. [Central] placed Reighard on administrative leave in February when it was alleged that the coach "directed a student-athlete to provide false information about an injury to medical staff determining the student’s ability to compete," the school said. The 121-page report, in which current gymnastics team members and Reighard were interviewed for, was presented to Reighard earlier this month and the coach was given two weeks to respond. His response did not change the school's decision to fire him, according to the statement. CMU athletic director Michael Alford said in the released statement that the school would self-report the events found in the report could lead to an NCAA rules violation and the school would self-report them. Central won the regular-season Mid-American gymnastics championship, then finished second in the conference meet, which was held in DeKalb. Northern Illinois made an excellent effort on the beam to secure the first place. The man who wrote one of environmentalism’s most-cited essays was a racist, eugenicist, nativist and Islamaphobe—plus his argument was wrong. Seriously? Aren't the final four words sufficient? These days, apparently an author's incorrect attitudes, or an author's citation by people One Disagrees With, are additional disqualifications. People who revisit Hardin’s original essay are in for a surprise. Its six pages are filled with fear-mongering. Subheadings proclaim that “freedom to breed is intolerable.” It opines at length about the benefits if “children of improvident parents starve to death.” A few paragraphs later Hardin writes: “If we love the truth we must openly deny the validity of the Universal Declaration of Human Rights.” And on and on. Hardin practically calls for a fascist state to snuff out unwanted gene pools. Or build a wall to keep immigrants out. Hardin was a virulent nativist whose ideas inspired some of today’s ugliest anti-immigrant sentiment. He believed that only racially homogenous societies could survive. He was also involved with the Federation for American Immigration Reform (FAIR), a hate group that now cheers President Trump’s racist policies. Today, American neo-Nazis cite Hardin’s theories to justify racial violence. A paragraph later, the polemicist makes a concession. "Of course, plenty of flawed people have left behind noble ideas. That Hardin’s tragedy was advanced as part of a white nationalist project should not automatically condemn its merits." Yes, Richard T. Ely gets hammered, and there are those in the American Economic Association who would remove his name from the prestigious lecture at the association's annual meeting. And it's hard to read some passages in John R. Commons, one of the early stars of institutional economics, without cringing. Scientific American, however, ought not be using the imprimatur of science, which is a process of weighing evidence, to provide a platform for professors of environmental politics making no pretense of objectivity. Let Salon provide the clickbait. Apparently, even in oh-so-fashionably-left Ann Arbor, coffee shops have to pass market tests. I don't have the background information on that accusation. Apparently, though, when running a business becomes too much like work, it's time for some family time. "A letter, obtained by WXYZ, that was sent to the union stated that the owners felt the experience of running the business was 'overly stressful' and became an 'unworkable burden on their relationship and their family.'" THE SELF-IMMOLATION OF THE UNIVERSITY OF TULSA. City Journal publishes a reminiscence by Tulsa philosopher Jacob Howland. It opens in a similar vein to many a Cold Spring Shops post. [U]niversities have for years been offering an increasingly inferior product at unsustainably high prices to an ever-more skeptical group of prospective students. Many institutions below the top tier are scrambling to respond to the collapse of the higher-education bubble by jettisoning the liberal arts and pumping up the practical ones: health care, computer science, business, and other technical fields that promise to yield jobs immediately after graduation. This approach has been employed in a particularly crude and short-sighted manner at the University of Tulsa, where a new administration has turned a once-vibrant academic institution with a $1.1 billion endowment and a national reputation in core liberal arts subjects into a glorified trade school with a social-justice agenda. Our story is worth telling, because we have been hit by a perfect storm of trends currently tearing through the American academy: the confident ignorance of administrators, the infantilization of students, the policing of faculty, the replacement of thinking with ideological jargon, and the corporatization of education. There's a part of me that bridles at treating the practical arts as something that can be unbundled from the liberal arts. It's useful to understand the trivium and quadrivium, as they are the foundations of medical science; they provide an intellectual basis for understanding the separation of commerce from politics; not to mention that the privacy rights of individuals ought be something the information technology practitioners ought be aware of. At Tulsa, though, the decline has been under way for some time. [I]t became clear some years ago that TU was in financial trouble. Faculty have had no raises since 2015. That same year, President Steadman Upham (whose compensation in 2014 exceeded $1.2 million) informed the campus community that the university was providing athletics with a $9 million annual subsidy. The total deficit in 2016 was $26 million. For nine months in 2016–2017, the university ceased to contribute to faculty retirement accounts—effectively, a 9 percent cut in pay. In September 2017, 5 percent of the nonfaculty workforce was laid off. In December 2017, Moody’s downgraded $89 million of TU’s parity revenue bonds and $57 million of student-housing revenue bonds. Around the same time, it was revealed that TU had for years been running a structural deficit of about $16 million. Athletics accounted for most of the total loss; TU’s law school and Tulsa’s Gilcrease Museum, which the university has managed since 2008, made up much of the rest. TU’s board of trustees is composed of business executives and lawyers, none of whom has a higher-education background. Three trustees graduated from TU’s law school; two others serve on the board of the Gilcrease; more than a few are major supporters of TU’s Division I football program. Disinclined to address the deficit’s primary causes, the board prefers to plug the deficit through a combination of academic program cuts and consolidations, faculty attrition, and a massive capital campaign. Then again, it was never clear to faculty why a university with a billion-dollar endowment needed to cut academic programs. Some suspected that the financial crisis was just an excuse for fundamentally transforming the institution. I'm not sure that drawing trustees from the broader community disqualifies the board; that this is the institution that made Don Morton more attractive to Wisconsin might be the greater sin. Irrespective of who is on the board, or who carries the ceremonial mace, it's developing the good of the intellect that matters. The crisis we now confront is essentially moral and metaphysical. At stake is whether we will continue to be a liberal university: a place where young people, briefly sheltered from the noisy imperatives of the day, may take root in the rich soil of the common human past and grow into mature, independent individuals. That is to say, a place to play with ideas. But that very "rich soil of the common human past" is hegemonic. Probably triggering. Almost surely there is a colleague, even in the English department that must soon be absorbed into the Borg, er, Humanities and Social Justice who will primly pronounce that statement problematic. That's not to say the faculty has been absorbed without complaint. Faculty resistance to the moral and therapeutic imperatives of the new institutional super ego is presumed to be so extensive as to require something only a few steps short of A Clockwork Orange-style reeducation. On top of an anonymous, online-bias reporting system, [new university president Gerard] Clancy has mandated training in “unconscious bias” for all employees. (We’ve already done harassment and “microaggressions.”) And just to be sure, TU’s new Institute of Trauma, Adversity, and Injustice also regularly surveys “exclusionary, intimidating, offensive, and/or hostile conduct” at the university. [Former Tulsa president Steadman] Upham had made it his goal to pull TU into the top 50 national universities in the U.S. News & World Report rankings. This was commonly recognized as a bridge too far—our highest-ever ranking was somewhere in the seventies—but it was a serious institutional aspiration that recognized the intellectual quality of our faculty. At his first meeting with TU faculty in late 2016, by contrast, Clancy announced that he was turning the ship around: we would now focus on recruiting first-generation college students and offering them job-ready programs. This is the sort of modest goal a public college of local stature might set for itself, not the best private university in the region. And such students cannot possibly afford TU’s tuition, just raised 3 percent to $41,698 for 2019–2020. (Little wonder that Oklahoma’s public universities are now considering competing with TU in Tulsa, news that caused a former trustee to tell me “we’re fucked.”) Clancy hopes to plug the structural deficit and raise scholarship funds through a $500 million capital campaign—but how many first-generation college students know to look beyond the sticker price for financial aid? Still more implausibly, Clancy plans to continue to market TU as a private university of national significance. That approach is condescension on top of stupidity. Why are first-generation or non-traditional or returning adult students somehow not deserving of the same intellectual challenges as the trust fund babies in the Ivies? Honestly. That's what the "public colleges of local stature" used to do. Call the roll: City College of New York, Temple, Wayne State. It's when those institutions got away from that model and started describing "admitting unprepared students" as "access" that those U.S. News guides took on value. At Tulsa, the administrative usurpations took place without much stewardship by the faculty. All this ferment is bureaucratic, and what little bears on scholarship and teaching falls like bombs onto a shell-shocked faculty. Clancy’s thoroughly corporate mentality could not be more evident: TU is nothing other than its administrative leadership, and its professors, swamped with pointless paperwork and mandatory doctrinal training, are middle managers. For all the talk of inclusion and social justice, Professor Howland writes, the end result might look like the old tracking system. [Tulsa's] governors do not understand what a university is: a precious cultural institution whose essential task is the preservation, cultivation, and transmission of knowledge. Absent a board willing and able to defend our integrity as an academic institution, we have experienced what one could call a hostile takeover that appears to have made TU a subsidiary of Tulsa’s biggest charitable foundation and an agent of the city’s corporate interests. Our infantilized and indoctrinated students will receive but a light wash of liberal arts before they are popped from the higher-education oven. They will perhaps be credentialed, but they will not be educated. Put another way, credentialed for entry-level jobs, but not necessarily prepared to move to positions with greater responsibility. As Our President would have it, SAD! OF PUPPIES AND HOME RUNS. Milwaukee area parents are probably thinking of a different Brewer as basis for a contingent purpose of a puppy. Perhaps when the national media come to Milwaukee for the Democrat convention, they'll learn to refer to Miller Park, not Miller Field, but next year will be the last year it will officially be Miller Park. It's still Comiskey Park in Chicago, naming rights be hanged! The family would like to train Yeli as a support dog, to help Lola manage her diabetes. The way the girl and her dog are getting on, it's likely Man's Best Friend will twig to something being wrong even before such training begins. Amtrak in the Heartland recalls the Milwaukee to St. Louis trains that ran through Chicago, commencing with Amtrak's first attempt to run trains as a system, commencing late in 1971. I've provided an extended look at those trains, the day after Thanksgiving of 1971. Timekeeping was still what one would expect of The Milwaukee Road and Gulf Mobile and Ohio. In subsequent years, timekeeping fell off for a number of reasons, and the through trains, which turned at Milwaukee either for St. Louis or for Detroit, stopped running. Today, being able to connect from one of the Regional Rail routes at the Chicago hub is more by accident by design, although that might change. TODAY IN THE COLLEGE APOCALYPSE. Power Line's Steven Hayward. Read and understand. Rod Dreher elaborates. "The left really is trying to destroy our civilizational heritage. You think I’m a Chicken Little about this stuff, but this below is what it means to have barbarians march through our institutions." Perhaps we should be grateful it is the University of Tulsa, perhaps best known in the sports world as the place where Don Morton got enough of a reputation with the veer offense that the pre-Donna Shalala, pre-Pat Richter Wisconsin athletics department let him rise to the level of incompetence, and perhaps not that well-known to readers of U.S. News league tables, that is engaging in restructuring for its own sake. Here's the short form of the Tulsa re-structuring, per Yascha Mounk. Tulsa just abolished its traditional departments, including Economics and PoliSci. Instead, it now has four broad divisions called "Ecology, Environment & Sustainability," "Human Biology and Behavior," "Fine Arts and Media" and... "Humanities & Social Justice." If they'd teach the controversies, it doesn't matter what the divisional structure is. If what they're doing is just another management fad, in the form of Total Quality Management and twee acronyms studded with Qs, as was all the rage a quarter century ago, perhaps it's irrelevant symbolism. It might be yet another administrative usurpation, treating departments as cost centers, and faculty as inputs to be used sparingly. Until the invisible hand surprises you, that is. For years, railroads, and other businesses, have used "downsizing" or "restructuring" or "re-engineering" as an excuse to shed physical and human capital. Such decisions, though, are not so easily reversed. The approach might make sense in a shrinking industry, but it can leave that industry in poor shape to deal with expansion. Be grateful, dear reader, that it is Tulsa attempting to find its core system. If such a consolidation had first appeared at Harvard or Duke, you'd have all five hundred aspirants to the top hundred slots in the U.S. News league tables falling over themselves to copy it. Rod Dreher reflects on the fire at Notre Dame de Paris. "The fire that destroyed Paris’s iconic cathedral made manifest what we in the West have been doing to ourselves for over 200 years." Yes, as the editors at New York's Times noted when The Pennsylvania Railroad sold off the air rights over their station. "We want and deserve tin-can architecture in a tinhorn culture. And we will probably be judged not by the monuments we build but by those we have destroyed." The destruction is more widespread, not confined to a railroad station then and a church now. That tinhorn culture is not simply an assault on the senses of the sophisticates. It's hazardous to everyone's health. Mr Dreher is an Orthodox Christian, and much of his reflection is on the sacred. He has a message for the secular, as well. SHARED GOVERNANCE DIES IN DARKNESS. Monday's Northern Star might have discovered an administrative usurpation by default. The University Council passed a proposal April 3 to discontinue the President’s Staff as an administrative committee in favor of a group that may not be required to hold open meetings. The proposed amendments to Articles 6.5 and 18.1 of the NIU Constitution would remove the President’s Staff because the committee “is not currently a functioning committee of the University,” according to the April 3 University Council meeting agenda. Catch that Divine Passive? There's no explanation of why the committee ceased to function. There is this. NIU President Lisa Freeman said she introduced the amendment because the language in the constitution is outdated and inaccurate. Freeman said in place of the President’s Staff is the Senior Leadership Roundtable. The group is made up of administrators and deans that meet informally to “advise the president on matters pertaining to internal university affair,” according to the agenda. Freeman said the goal of the group is to build better working relationships between leaders at the university. “My goal with the roundtable is really to build a collaborative spirit and to get leaders of major divisions of the university to be comfortable sitting at a table with one another,” Freeman said. Anybody else notice that nowhere in that excerpt does the new president or anybody else recognize who the true stewards of the university are? MAKE FACULTY GOVERNANCE GREAT AGAIN! There's at least one colleague who gets it. Biological science professor Virginia Naples said the faculty isn’t pleased with the decision because it affects transparency between governing bodies and the community. Freeman said the university asked the Attorney General’s office and the Public Access Council if the meetings of the Senior Leadership Roundtable are subject to the Open Meetings Act, but has yet to receive a decision. Naples said some of her concerns are based on NIU’s history of university leadership. She said NIU needs more supervision than other Illinois universities. Naples cited the resignation of University Presidents Clyde Windfield in 1986 and Doug Baker in 2017 as to why transparency matters at NIU. It's worth having proper faculty governance on general principles, rather than simply as an extra safeguard in a university with some bad actors as presidents. Johann Neem's "The Subtle Erosion of Academic Freedom" tackles some larger topics, and yet, at heart, the absence of faculty governance and a faculty with institutional memory doing the governing matters a lot. The most obvious and well-known threat to academic freedom is the decline of tenure and shared governance at many established institutions. Adjunct faculty members lack the protections, and thus the influence, that tenure offers. But even tenured faculty are losing power and authority as administrators, responding to legislators’ demands for faster and more vocational degrees, exert significant pressure to revise the curriculum. At the end of last year, I posed a question. "The Green Bay Packers opened the 1959 season with three straight wins, over the Bears, Lions, and 'Niners. Who was the quarterback?" That was with Milwaukee Journal-Sentinel sports pundit Tom Silverstein contemplating the personnel shuffles in Green Bay. He's still at it, going into the player draft. Now that [Packer] president Mark Murphy has replaced long-time coach Mike McCarthy with first-time head coach Matt LaFleur, the foresight of signing Rodgers to that contract has come into question. Had the Packers waited another year before jumping into a deal that costs them $26.5 million, $32.6 million, $33.5 million and $37 million in cap space the next four years, they would be in a much better position than they are now. We saw that show fifty years ago, with a battered Bart Starr with five titles and other honors being patched up and sent out to produce just one more comeback. As recently as April of 2018, it might have been inconceivable for a sports pundit to suggest such a course, although a ferroequinologist who is at best a casual football fan saw the possibility. My wish for 2018: that the Packers fix their problems on defense, and continue to pay attention to the succession at quarterback (Boy, did I miss that one, but I'm not complaining). I still have bad memories of a battered Bart Starr coming out to attempt to salvage one more season, one more run at Bud Grant and the Vikings, only to leave more racked-up. It's beginning to shape up like last summer and fall, with the Cubs already rescheduling April home games into August, and the baseball schedule makers somehow assigning the Brewers ten of their games with the Cardinals (four wins already in hand) and all of their games with the Dodgers (two wins) before May Day. Meanwhile, the Packer house isn't in order. A TAX DAY REFRESHER COURSE. In the course of a meditation on assorted attempts by the Democrats to further attenuate the power of the states, and of the public, John Hinderaker makes a point that merits further discussion. "The United States is just that, a union of states, not of atomized individuals. The states are important. Under the Constitution, all powers not delegated by the states to the federal government remain with the states and their subdivisions, local government units." You read it here first. "The powers not delegated to the United States by the Constitution, nor prohibited by it to the States, are reserved to the States respectively, or to the people." He goes on to note that ever since the self-styled progressives sought to substitute Governance by Wise Experts for emergence, that Constitution has become an impediment to what they perceive as progress. "Liberals have long disliked federalism and would like to erode the powers of the states, which often stand in the way of their grand schemes. Ideally, for liberals, the states would cease to exist except as administrative units of the central government." I suspect that's the logic behind complaints, ever since Congress capped the deduction for state and local taxes on federal taxes, constituting "double taxation." The intent of setting up a United States with a division of federal, state, and local governments with enumerated, and, in the case of the federal government, limited powers, is that local governments would collect taxes to pay for local services, state governments in like manner collecting taxes to pay for the services provided under their powers, and the federal government would collect taxes to pay for the services the Constitution authorized. But if you look on state and local governments as simply operating units of the national government, then perhaps if one operating unit collects more taxes, another operating unit ought not collect as much. That's what a coalition of rent-seekers sailing under the Americans Against Double Taxation banner would like to have you believe. They don't call themselves rent-seekers. "Americans Against Double Taxation is a coalition of state and local government organizations, service providers and other stakeholders dedicated to protecting the state and local tax deduction." Scroll down, though, and it's rent seekers everywhere you look. The Tax Foundation notes that there are, indeed, enumerated, separated, and limited powers at work. The elaboration is here, should you wish. Note: "Six states—California, New York, New Jersey, Illinois, Texas, and Pennsylvania—claim more than half of the value of the deduction." That is, tax hells that chase productive people away. The economist in me says there's no reason to put "price" in scare quotes. Taxes are the price we pay for the failure to civilize our society. We don't have to rely on government to do that. The Framers trusted us. "The enumeration in the Constitution, of certain rights, shall not be construed to deny or disparage others retained by the people." Finish filing your taxes, then brace yourself to your duties, and Secure the Blefsings of Liberty to Yourfelf and Your Posterity. THE FIRST AMENDMENT CONFERS AN ABSOLUTE RIGHT TO CRITICIZE POLITICIANS. If novice Member of Congress Ilhan Omar (Ingrate - Minn.) did not want to become the public face of jihad in Congress, she should not have run for office. But she did, and she chose to spout off, and she got called out for it. "I applaud the New York Post for this massive verbal slap." Her fan club doesn't like it. "Since the president's tweet—and the right-wing media's smears against Omar that preceded it—progressives have urged Democratic leaders and 2020 presidential candidates to stand up for the Minnesota congresswoman." Reason's Robby Soave attempts to be the voice of, um, reason. "Omar’s comments may sound flippant when taken out of context, but they were nowhere near as offensive as the right made them out to be—and Trump’s tweet, though thoughtless and unfair, did not represent any kind of violent threat. Everybody who got worked up about Omar was stoking unfounded outrage. And they were doing it hypocritically, since this is the kind of thing each side tends to hate when the other side does it." That might be so, but, again, one of the occupational hazards of engaging in politics is being criticized by members of the public. It has long been the refuge of politicians to whinge about journalists who "attack" them by quoting them accurately. It has also long been the nature of politicians to demagogue and rouse the rabble. Omar’s remarks did not merit this level of denunciation. But as a sitting congresswoman, she’s in the political fray; she should not be immune from criticism, wrongheaded though it sometimes may be. Some of that criticism crossed a clear line: Omar has claimed that she received death threats in the wake of Trump’s tweet. No one should be threatened for expressing their opinions, and the government should take whatever action is necessary to make sure Omar is safe. It is our duty to call them out when they deserve it. "In general, don’t criticize a politician because some people might take it too far and threaten her would be a bad rule, one that would make it more difficult to hold politicians accountable when they really have earned a good lambasting." We'll let Victory Girl Nina Bookout deliver the civics lesson. "Thankfully for all of us, our Founders knew what they were doing when they wrote the First Amendment. So Ilhan, you go right ahead with your speaking. We’ll go right on ahead with quoting you. That’s how this works." BILL CLINTON GETS NO RESPECT FROM DEMOCRATS. No, not another discussion of whether the woman claiming to be his wife neglected to campaign in Wisconsin. Rather, it's Power Line's Steven Hayward setting the Wayback Machine to early 1980. Jimmy Carter committed yet another reason for the voters to fire him, and an Arkansas governor is collateral damage. Fidel Castro declared that anyone who wanted to emigrate to the United States was free to do so within a narrow window of time. Within days, 125,000 Cubans were en route to the U.S. Just where did that rickety fleet come from on such short notice? No one seemed to be curious about that, though even slow learners eventually figured out that Castro used this “humanitarian” gesture to offload a lot of criminals, mentally ill persons, and other Cubans he wanted very much to be rid of. Which means the Cuban government was organized in advance for this “spontaneous” moment. No, Governor Clinton did not suggest that Castro was sending us "drug dealers and rapists, and maybe a few good people," although he was not pleased that Washington wanted to warehouse the refugees, until their asylum claims could be adjudicated, at Federal installations on the mainland, including Fort Chaffee in Arkansas. First, Clinton suggested the refugees be screened on an aircraft carrier off of the Florida coast. Eidenburg said that didn’t make sense, because there was no place to put those refugees the United States wouldn’t accept. Perhaps unsurprisingly, 1600 Pennsylvania Ave. rejected its future occupant’s Guantanamo plan. Evidently, Our President is currently taking advice from Jimmy Carter, but Mr Hayward sees another trolling opportunity. "I think Trump should come out and say he’s decided to take advice on this matter from Bill Clinton. And then pass the popcorn." AARON RODGERS IS STILL QUARTERBACK. A Milwaukee radio interview of presidential import gave the quarterback an opportunity to sound like the voice of reason. Packer fans, remember this, especially those of you who live in Green Bay: [former coach] Mike [McCarthy] lives here. Mike has young kids here. So Mike has to be here. Think about how difficult it is for him. My favor that I would ask of you, strongly, is if you see Mike, shake his hand. Tell him thanks for the memories. Tell him thanks for the coaching job that he did. Tell him how much you appreciate him being a part of what we built here. Things change from ‘06 to ‘18. We came off of a bad season in ‘05 and we built something special and had sustained success, so instead of trashing this guy on the way out — last year was tough, no doubt about it — but let’s honor him and his legacy as the second-winningest coach in Packers history. If you see him, please, just show him the respect that he deserves. Not only does he have to live in Green Bay, he wants to. He loves it here. He’s going to be here. So, if you see him, do him that favor and show him the respect that he deserves. The Packers recently completed their first set of organized team activities not including practice (a pox on the process-worshippers) and the transition to the new coach and the free agency and upcoming player draft activities are likely to be overshadowed, but not eclipsed, by the Milwaukee Bucks in the playoffs and the Milwaukee Brewers attempting to secure more wins in hand against division rivals. For the Packers, the standard is still five championships in six championship games in eight seasons. Crystal Beach Amusement Park, in Ontario, has gone the way of many an amusement park, particularly one sitting on prime lakefront property. Years ago, though, the new Canadian domestic content laws required that commercials for food sold in Canada had to be produced in Canada. In Michigan, we'd call it orange "pop," but, whatever. Lots of mid-1980s pop-culture in that commercial. ADAM SMITH BUILDS THE PACIFIC RAILROAD. This year marks the sesquicentennial of the Pacific Railroad, which began to take shape during the Civil War with Union Pacific building west from Omaha and Central Pacific, shipping all the components around the Horn to California. It was about this time in 1869 that a Central Pacific crew installed ten miles of new track in a day (the historical marker reads "laid in a day" but in reality there was ten miles of new rail in place if not properly surfaced, aligned and ballasted yet). One might suspect that the track-laying accomplishment was an artifact of geography, it being easier to lay a relatively straight track across relatively flat ground in Utah, rather than tackling the curves and grades in the Sierra. A recent Trains article explains there was more at work. In the beginning, Central Pacific were essentially assembling panels of snap track (to use a model railroading term) in place and finishing each panel before moving on to the next panel. Each panel was held in alignment with adjacent panels by a large rail joiner called a chair spiked to a tie with a special notch deep enough for the chair. Thus the two rails had joints opposite each other. It's something the British still do, on lightly-used lines, and bouncing along them in a nodding donkey is quite the experience. North American railroads went to staggered rail joints many years ago, after they discovered that having both ends of a heavily-loaded axle going over rail joints at the same time beat up the tracks. To move rail's end on the Central Pacific forward involved hammering a chair onto the outer end of each of two rails, placing the notched cross-tie, placing the intermediate ties, hammering the inner end of each rail into the chair at the previous rail end, then spiking the chair into place and the rail to the intermediate tie. On curves, they'd pre-bend each section of rail (the inside and the outside) and cut the inside section so as to keep the joints square. Then repeat the procedure. It's a whole lot easier to open up a box of snap track; the factory has done this work for you. 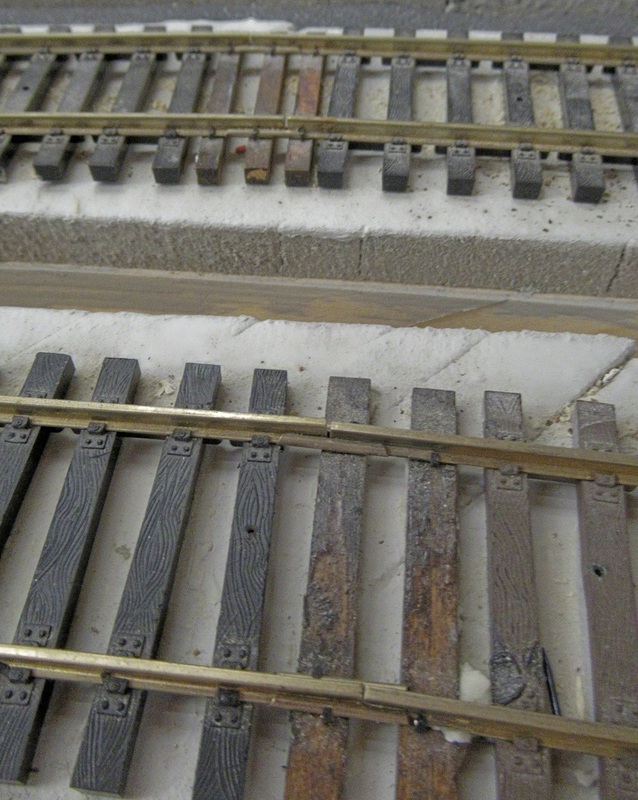 A model railroader who works with flex-track has probably encountered the notched tie phenomenon. The tie strip on a piece of flex-track is supposed to hold the rail in place. There isn't room for a rail joiner, which means the builder has to substitute wood ties and spike at the joint. After about seventy miles of struggling with chairs and curves, Central Pacific adopted a different method of joining rails at the end, with splice bars, and they kept a stock of rails six inches shorter than standard on hand, such that when the inside rail on a curve got six inches ahead of the outside, they'd attach a shorter rail at the next splice and press onward. But they were still building the track one panel at a time. On Union Pacific, Jack Casement was getting several miles of track laid each day. Central Pacific management contemplated sending a spy to observe, but they didn't have to when an itinerant track hand working his way to California showed up just before the 1868 construction season began, looking for work. Author Wendell W. Huffman explains what the track hand described at his job interview. Casement achieved speed in tracklaying by involving more men, divided into specialized teams. While the traditional method involved a few men pitching in on every task in the limited area in front of the tracklaying car, Casement stretched the work space as long as possible. Ties were distributed from wagons well ahead of the rail laying, and the tracklaying car was rolled ahead on loose rails, allowing splicing and spiking to be done behind the car. Tie setters only set ties. Rail layers only laid rails. Splicers spliced and spikers spiked. Everyone gained proficiency. The tracklaying car is a small four-wheeled trolley that can be manhandled off the track when empty to make way for the next load coming to track's end. It had extra wide wheel treads in order to stay on rails that were not fully secured to all ties. The splicers and spikers are doing their work out of each other's way, behind the advancing tracks. THE UNINTENDED CONSEQUENCES OF TITLE NINE. Last week Notre Dame women's basketball coach Muffet McGraw made the news with comments on the decreasing proportion of women coaching in college sports compared to 1972, when Title Nine of the Civil Rights Act took effect. In the clip, she also expresses discontent with the "first woman governor" and what have you in politics. 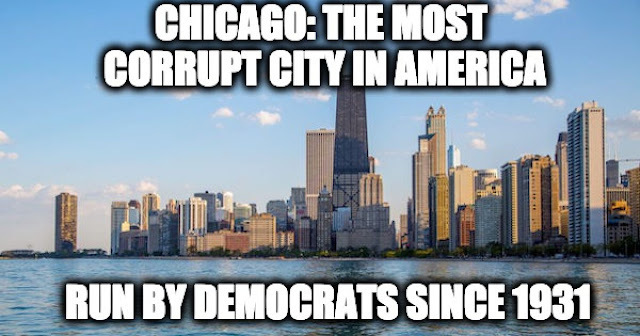 I'll leave that part alone, as, for example, Lori Lightfoot's ancestry or sexuality are probably less relevant to Chicago than her Democrat affiliation. That's for another day. The coach notes that over ninety percent of coaching jobs in women's sports were held by women in 1972; it's about forty percent now. The men's tournament culminates in Minneapolis, which is also home to the Tucker Center for Research on Girls and Women in Sport, and Twin Cities NBC affiliate KARE interviewed center director Nicole LaVoi for analysis. The director invokes "barriers" and "access" and "power" and "opportunity" and all the rest of the contemporary victimology. Perhaps so, but perhaps the very enactment of Title Nine changed the nature of women in college sports from a separate enterprise to a part of College Athletics, Incorporated. That's been happening for at least thirty years, as Matthew Goodman noted in The Washington Monthly. It's a pre-Web article, "Where the Boys Are," in the April 1989 issue, pages 18-21. Prior to Title Nine, many of the women's sports had volunteer or part-time coaches. Under the new dispensation, those became funded, full-time sports, with full-time positions for coaches and supporting cast. Long-time Iowa athletics director Christine Grant got off a bon mot. "When the programs merged, the women were submerged." Case in point: when I hired out at Northern Illinois, there was a separate director of athletics for the women's program, and a separate marketing department, and in basketball nobody wanted any part of scheduling doubleheaders with the guys, something that's now common (and not a good idea: if the ladies play first, that's the scheduling of the sophomore game before the main event; if it's the second game, that's a half hour for spectators to sneak our and it's past the little kids' bedtimes). Thirty years ago, we're not so far from Brown v. Board of Education and the understanding of middle-level and senior administrators in higher education that separate but equal isn't. But when the universities combine all the athletic enterprises in one department, it might be football and men's basketball that are (allegedly) bringing in the money and that affects the composition of the directorships. That's the point Mr Goodman made in 1989. Washington Post reporter Megan Greenwell noted the same phenomenon in 2012. "By legitimizing women’s sports, Title IX bestowed a new level of respect — and significantly higher salaries — on college coaching jobs, transforming them from passion projects for the most dedicated women’s sports advocates to serious career paths." Mr Goodman noted the role of insiders looking out for insiders, and it still continues, that despite assistant coaches on men's basketball teams often earning more than the head coaches of the women's teams. Assistant coaches of men’s teams saw a chance to be promoted faster by applying to head-coach jobs on the women’s side. Job opportunities doubled for graduating male athletes who weren’t going pro but wanted to stay in the game. Athletic directors, whose ranks have always been overwhelmingly male, increasingly hired other men for open positions. The result has been a consistent decrease in the percentage of female coaches. In 1987, the share of women’s teams coached by women dipped below 50 percent for the first time. The saga continues today. A Master's student at Bowling Green investigates the evidence at the Division II (meaning nowhere near as much money at stake in football or men's basketball) and observes a similar phenomenon at work. Whether calls for reform or continuing to offer evidence of athletics departments continuing to hire men to coach women will change anything remains to be seen. It probably doesn't help when Ms La Voi drags intersectionality into the discussion. “Muffet is a white, married, heterosexual, highly successful coach. So she can say those things, whereas I would argue not many other women could get away with that. I'd like to think that "successful" counts first. Her team hoists the banners. Apparently, though, there are other unintended consequences of Title Nine, including the introduction of positional arms races into girls' sport, even before high school. The old boy network might be only a sideshow. FREDERIC BASTIAT OBSERVES A WILD PITCH. The Wisconsin branch of Pella Windows prepared potential customers for the upcoming home improvement season with a series of advertisement including Packer radio announcer Wayne Larrivee, the most recent of which had some fun with Mr Larrivee's extended participation in the advertisement. With all the uncertainty surrounding the team's recent coaching change and roster moves, he mentioned the importance of having something to fall back on. The latest advertisement, which I just heard, alludes to Mr Larrivee not being present. This being baseball season, though, company voice Gina Della from Pella (she's a real person: whether she affects an exaggerated northwoods accent for the commercials is a secret) chucks a baseball at a passer-by. Because ... there's a special offer on the baseball offering early-season price breaks on window replacements. The advert ends with the passer-by chucking the baseball through one of his windows, so as to have a reason to take advantage of the bargain. Then Ms Della chucks another baseball through a window that turns out to be at a neighbor's house. "Oh, they'll want new windows once they look at the ball ..."
In January, I offered an extended discussion of Randal O'Toole's Romance of the Rails. That post extended a review I was invited to write for The Independent Review. The Independent Review version of the review is now available. Enjoy. THE HIGHER EDUCATION APOCALYPSE IS COMING. CAN ANYBODY HERE CARRY WATER FOR A PATTERNMAKER? NO PARADOX OF CHOICE HERE. SETTING THE PACE FOR THE WORLD. WE'RE ENJOYING THESE APRIL FOOLS SUCKING. A PROPHECY THAT STANDS UP. TURNING THE APRIL FOOLS OUT? THOSE APRIL FOOLS ON DISPLAY.